Do you often create CHM help files, WEB based documentation, PDF and other stuff? Well If the answer is yes. Then let us talk about an application which can help you to do these tasks most efficiently. The application is none other than the HelpNDoc. So the question is what this application does? Or how it can help you to get done with your job? Well just go ahead and give a read to this article and we will clear all the doubts. But before that, let us give you an introduction to the application. 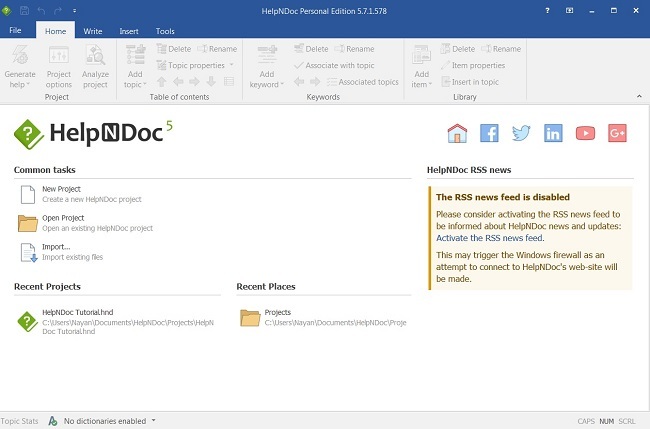 The HelpNDoc offers the users a precise and efficient way to create CHM help files, WEB based documentation, PDF and Word documents from a single source. As well as while building such files, you do not even have to care about the inner working of help file generation. Instead, all you need to do is import the documentation file in the built-in word processor and hit the compile button. This whole thing automatically kills down the need of the incomprehensible tools. Also, you do not have to use a complicated user interface. The HelpNDoc was created with the purpose to offer the most advanced functionalities in the simplest form. This means you will be able to build and maintain HTML help files, Word, and PDF documentation in the simplest way. Another best part of the HelpNDoc is that the User interface of the application is super easy. Like If you know how to use a word processor. Then it will not take much time for you to learn how to use HelpNDoc. Even if you have never used any word processor, you would still manage to get your work done with the application. Also, it comes with quite a lot of powerful features. Such as live spell check in what you see is what you get environment. The application is available freely for the personal users. However, for business users, there are two plans are available. That includes the Professional and standard plans. Now let’s talk about some of the top features of the Application. This way you will get a better idea of the application. The user interface of the HelpNDoc application is smooth and easily understandable. The UI Has been designed in a way that it should look clear and compelling. Also, there are various tools assembled using the popular ribbon design which was first introduced by Microsoft Office. Overall it offers you the comfort to get done with the job in the simplest form. While making a CHM help file or a PDF file you would need lots of tools to get done with the job. That is why the HelpNDoc application does come with all the necessary tools. 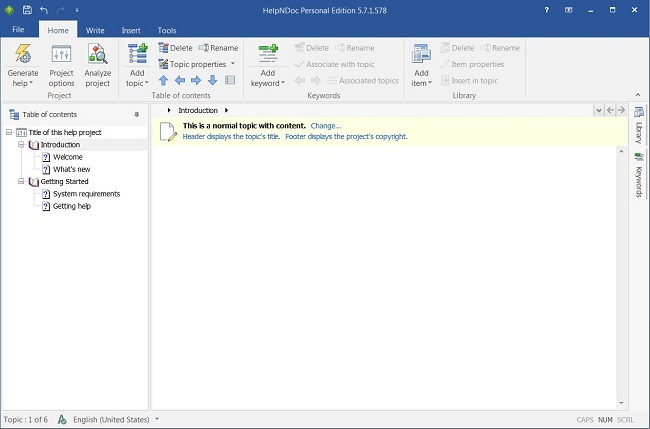 Such as Table of contents editor, Keywords Editor, WYSIWYG topic editor and other features. Another great feature of the app is that it comes with Multi-format documentation generation. No matter if you are making a CHM help file or a PDF file. The file can be easily converted into different formats. This means you do not have to make the same thing twice. Just create once and convert it multiple times. 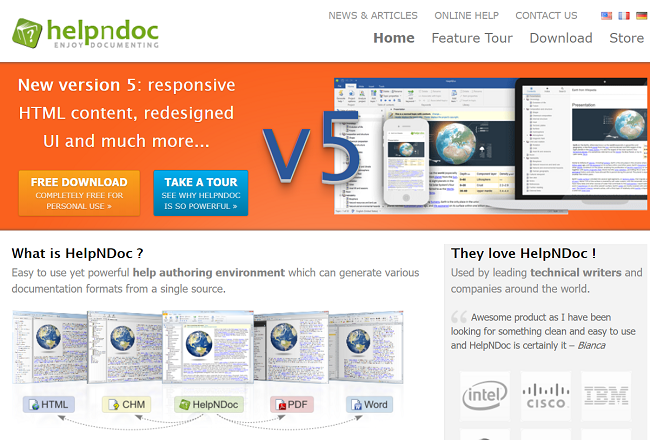 The HelpNDoc also can help you to Generate entire iPhone websites and documentation pages. As HelpNDoc Has a powerful template generating system that includes a complete iPhone documentation template included by default. Hence, as a result, one can quickly create iPhone websites and documentation pages without working extra hard. As you are already aware of the fact that EPub is quite an accessible file format around the readers. Also, most of the e-reader devices support Epubs file format only. Hence it is pretty obvious that you would like to create epub files as well. And yes, with the HelpNDoc application you will be able to do so on. You can easily customize Epub files or create them. Also, the files will be compatible with the different type of epub readers including iPhone, iPad and other devices. Apart from epub kindle is also one of the widely adopted ebook readers. Hence HelpNDoc also has the support for Kindle. With the HelpNDoc application, you will be able to generate eBook files which are compatible with Amazon's Kindle. Also, it does not matter which type of kindle model someone is using. HelpNDoc will offer support for each and every device with ease. 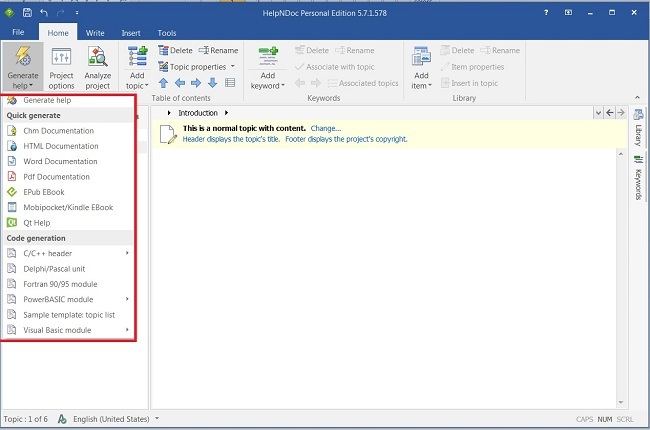 HelpNDoc offers a robust template system. Every single aspect of the documentation output can be changed to fit your requirements. It comes with full source code for templates and creates on-line HTML HTML documentation or a specific iPhone designed website with ease. Anyway, those were the top features of the application. If you want to know more about HelpNDoc, then go ahead and download the app and see how it is working for you. Also for any further questions, do feel free to comment below.